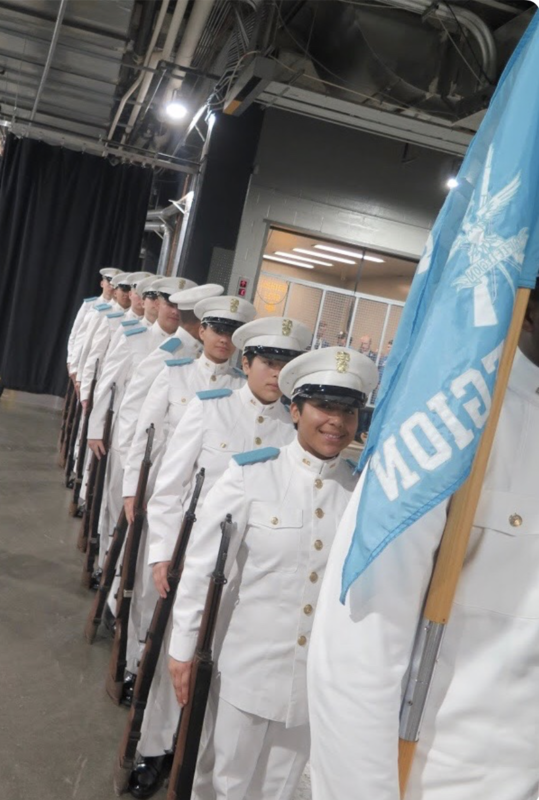 ​​The Citadel Rifle Legion Drill Team is an all-class co-educational drill team at The Citadel. Members of the Legion are essentially volunteers from the corps of cadets who wish to not only further a proficiency in drill, but also to represent the Citadel and the state of South Carolina through a developed expertise which forms from being on the team. The team also strives to promote community service as much as possible and takes part in many parades, performances, and special details throughout South Carolina and the neighboring states.